Tell me your dreams, and I'll make them true. "I really loved working with Zenzla. Professional, communicative, polished and legible work." "Zenzla, made an excellent work. I like his design, because it is clear and without "spectacular" gimmicks. His first example was on the point and we didn't need to change something. The communication is very good. Thank you for this excellent work." "Zen does such a great job of taking the base idea and re-inventing it beyond expectations. Patience and willingness to make amendments as needed make working with Zen a dream." "Zenzla is really accommodating with any changes/updates needed. He takes my ideas and makes them so much better, offering many options. Thanks Zen!" "Quick to respond to changes requested, and a great designer. Thank you"
"Zenzla expanded the logo from the beginning, producing a brand family. Zenzla was very responsive to any suggestions or requests for modifications. Truly enjoyable to work with. Thank you." "zenzla did a great job for me on this design by giving me a number of different and unique designs to compare and all were done very well. Would definitely recommend." 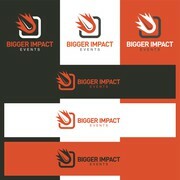 "Very satisfied with the logo provided by Designer! 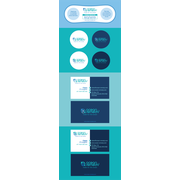 My requests and vision were well understood and this resulted in a beautiful and unique logo which represents the vision of my company! Revisions were quickly provided! Overall, very satisfied with De..."
"Zenzla produced many variations of the design challenge...showed his versatility and ability to help clients achieve the results they are looking for !"